Photos: On upland rock. Gougane Barra, Co. Cork, SW Ireland. 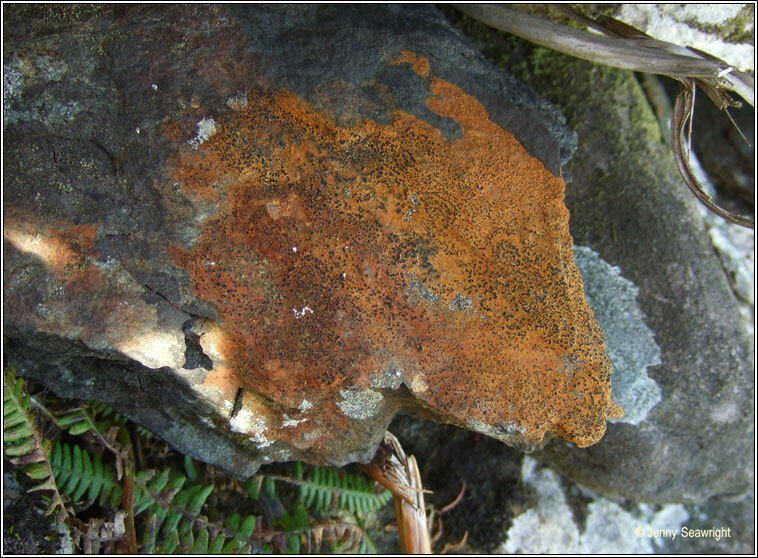 Distinctive rust-coloured, cracked-areolate thallus, sometimes appearing +/- black in very exposed, well-lit locations. 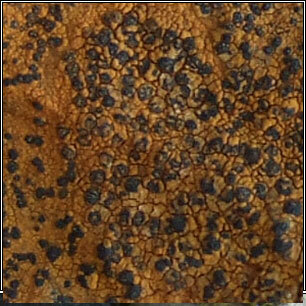 Numerous smooth, immersed black apothecia, discs slightly concave. Asci 8-spored. Spores simple, colourless, 10-16 x 5-9 µm. Can be locally common in upland areas on hard siliceous, iron-rich rocks. Chemical reactions negative. 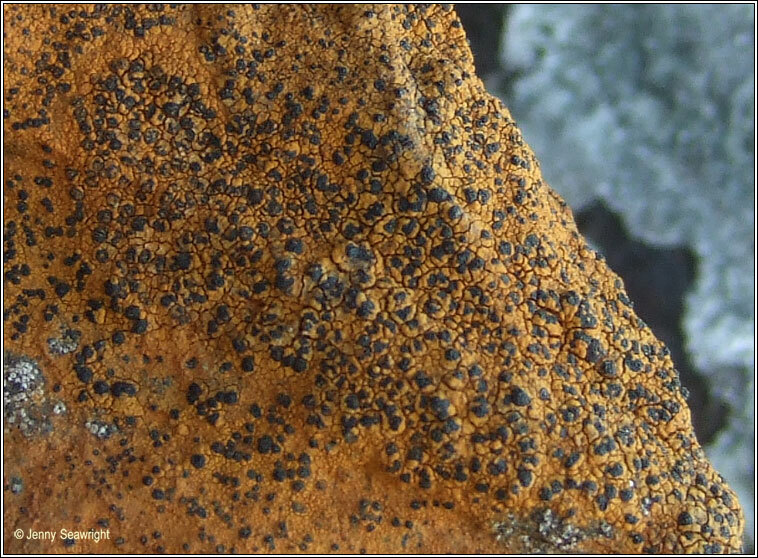 Similar: Rhizocarpon oederi. Gyrose, knot-like apothecia.